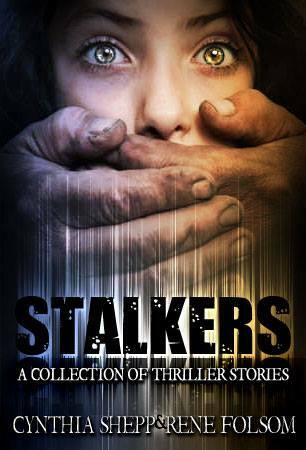 A fantastic collection of suspenseful stalker stories. 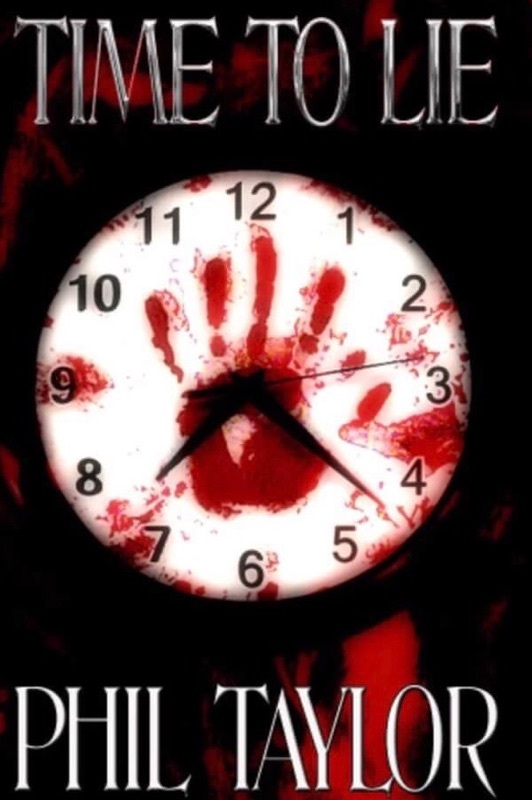 Seventeen authors with seventeen tales of terror that will have you looking over your shoulder. Pick it up and find your new favorite author. There’s one short story in there titled Blog Stalker by yours truly. Stalkers is available both as an e-book or in paperback! Just click the highlighted title above. I feel fortunate to have been chosen by Cynthia Shepp & Rene Folsom for this collection and to be deemed worthy of being included with such an esteemed group of authors. As always please share #ThePhilFactor in every social media way possible. You know what they say, sharing is caring! A short story I wrote is included in this collection of suspenseful short stories by a bunch of very accomplished authors among whom I was fortunate enough to be included. Is my contribution funny? Is it suspenseful? Is it both? There’s only one way to find out! It comes out on Amazon Oct. 28th! (I was going for Interview with the Vampire Editor” for the title, but the program won’t let me do cross outs in the title.) 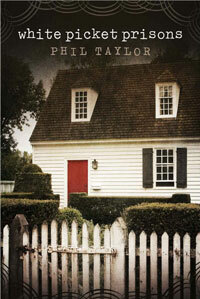 When I published my first novel, White Picket Prisons, I didn’t know what I didn’t know. One of the things that I didn’t know was what an editor does for an author. I figured that the spelling and grammar check on my computer was an adequate editor and and, if I passed that testtest, my book was good to go. I then impulsively published a bad first edition. After some feedback from some very good friends friends, I decided to have my book edited by a professional and to re-issue it. I found Cynthia Shepp’s book review website, initially hoping for a review, but when I saw that she did editing editing, I asked for that instead. As a new author there was so much I didn’t know. and I’m grateful to Cynthia for taking the time and effort it required to revise my first edition into a much better second edition. 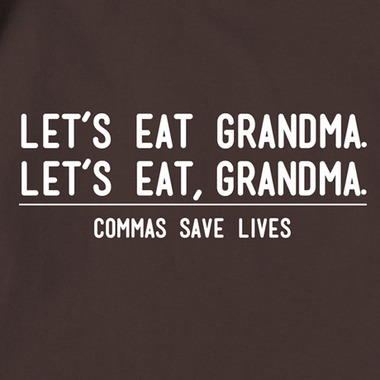 She also taught me the importance of commas. As you can see from the first paragraph, I asked her to edit this interview and I’ve left the edits in so you can see what an editor does. TPF: Hi Cynthia and welcome to The Phil Factor. Just for fun, feel free to edit this interview as well, and I’ll leave you’re your edits in for people to see. How and why did you get into editing as a career? Also, what was your education to prepare you for being an editor? I’m really curiouscurious about that because apparently I got through seven years of college without knowing how to use commas until you edited my manuscript. Cynthia: Hi Phil, thank you so much for having me. I feel privileged to be on the Phil Factor. I love your blog. I have loved to read ever since I was big enough to pick up a book. I used to think that I wanted to be a writer, but later on, I decided that I was better at editing. I love to take people’s stories and help make them the best that they can possibly be. Really though, it was just a dream that I didn’t think would ever happen because I live in a very small town in Alabama. There are no major publishing houses here and I always thought to be a successful editor, you had to live in a big city with resources. Then came the independent publishing era and I realized that this was the time to make my dream come true. I could do everything I wanted to from the comfort of my living room, with a computer on my lap and my kids screaming in the background. I started on a fluke with a book review on Amazon and noticed that the author, Elle Casey, posted a Facebook link. From there, another author informed me that there was a huge market on Facebook and that authors would give me books FREE in exchange for reviews. That was all it took to convince me to start a Facebook page and blog. That same author, Jason Brant, decided to take a chance on me and gave me his manuscript to edit. Everything blew up from there. Now I have so many projects that I work non-stop all the time and I love it! As for education, I am two classes away from a BA in English/Literature. I agree with you, though. I don’t feel that my education prepared me for editing. I have learned through extensive trial and error, working on my own time to teach myself the skills I need to be successful. It is an ongoing learning experience. I feel that I discover new things every day. TPF: What is the funniest mistake you’ve ever seen anyone make in a manuscript they submitted to you? Don’t use their name of course, unless it’s me. Cynthia: Oh Phil, don’t make me call you out, honey. I actually can’t think of anything that was funny in a manuscript that I edited, but a mistake that you made does come to mind. When I received your manuscript, I almost fell out of my chair when I opened it. 😉 You had characters speaking in the same paragraphs and unannounced POV changes on every other page. It took extensive work before I even got to the meat of the story. For people that do not know, characters never speak in the same sentences. You must always put dialogue on a different line. Also, POV (point of view) changes should transition well, and be announced clearly, so that the reader does not get confused. Once that was ironed out, however, I realized that you had an extremely great book on your hands. TPF: I don’t mind being your example. Like I said, I didn’t know what I didn’t know. (Did you hear that everybody? She said “great book.” Now click that link to the right to get it on your e-reader right away) Cynthia, What is the most common mistake you see new authors make? Cynthia: I would have to say that it would be the mistakes that I mentioned above. Also, I would say tenses are another huge problem. You cannot start a story out in one tense and then start switching between them. In my opinion, past tense is the best to write in. Trying to write in first person, present tense usually does not work out well. It is jarring to the reader. Unless, of course, it is the Hunger Games. I am one of many who believe she is a rare author who successfully wrote an amazing book in first person, present tense. TPF: There are different levels or types of editing. Could you give a brief explanation of those? Cynthia: There are many different levels of editing and people actually give various names. There is everything from a content edit (which I do not do) to a simple re-edit. Content editing usually means that an editor will work with a writer from the very first draft. They will give their opinion on everything from plot to characters in an extensive role. I am a final-draft editor. The services I offer are explained below. Re-Edits are done on books that have already been edited that you are not happy with. I simply go through and edit them again, correctly. I don’t charge full price because I know that the authors have already paid someone to edit it once. 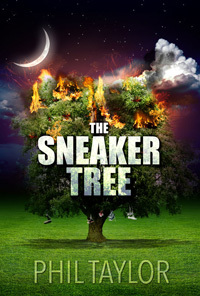 This is ONLY for books that have previously been edited and that have already been published. Re-Edits only get ONE thorough read through. If you want a more comprehensive edit, please choose a Proofread or Detailed Copy Editing package. Proofreading is done on a final draft and includes line-by-line correction of spelling, grammar, and minor sentence structure issues. Detailed Copy Editing is done on a final draft and includes detailed, line-by-line editing for sentence structure, grammar, spelling, and, if needed, other issues that do not require major changes, such as plot consistency, character analysis, and style. The Detailed Copy Editing and Proofread Package combine both services. This package has two different steps. First, Detailed Copy Editing will be done to a manuscript and sent back to the author. The author will then make all of the changes needed and re-write sections that have been suggested need work. Once the author has finished this stage and sent it back, a thorough Proofread will be done on the finished product. Please refer to the above explanations for each service to see what they entail. This is the most cost-effective package if you desire both a detailed copy edit as well as another edit after the changes have been made. Need help making your blurb great? Need a fresh pair of eyes to check for errors and readability? This is your option. This is a flat-rate service with a one-day turnaround. TPF: Do you have a favorite style or genre you enjoying reading and editing? Cynthia: I love most books and genres. I do have reading preferences, as well as genres that I do not enjoy. I also go through stages. For the last year, I have been addicted to Dystopian and Apocalyptic novels. There is something about them that I cannot resist. I also love paranormal and modern Sci-Fi. I do not like dungeons and dragons type fantasy. I love just about anything else though. It depends on my mood. I like books that make me laugh, cry, groan, scare me, and even blush with embarrassment. It just has to be well written and keep me entertained. TPF: With your background and experienceexperience, you would probably be a great writer. Have you ever thought about writing your own novels? Cynthia: I used to think that I would be a New York Times Best Seller one day. I now laugh at myself for thinking that. I am not a writer. I am an editor and I am happy in that role. I have been such an avid reader, I would be worried that the ideas I ended up with would not be my own. I have had a few poems and newspaper articles published, and I write a mean term paper, but other than that, I lost the urge. Even the poetry that I write comes in fits and bursts. I will go for years without writing anything. I just do not have that burning NEED to write, so I do not think a book of my own is in my future. Although, I do think that the anthologies that I publish (with help from Rene Folsom, author) fill that need inside of me. It allows me to create a work of art and fill it with the creativity of others. I simply give a topic and they run with it. The upcoming anthology, STALKERS, has exceeded even my expectations. It will be one of our best anthologies yet. TPF: If there is one piece of advice you’d give to authors before they send their manuscripts to an editor, what would it be? Cynthia: I love this question. My main advice would be to PLEASE make sure that your manuscript is double-spaced and in Times New Roman size 12 font. It makes it so much easier on the editor when it is formatted that way. It makes it clear, easy to read, and easy to edit. It makes my job less complicated and more enjoyable. 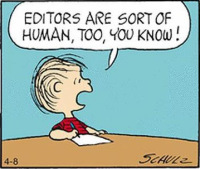 I would also suggest beta readers before and after an edit. Betas are a great source for authors. They offer feedback that helps the author as well as the editor in first and second drafts. After editing, Betas also help find those pesky little mistakes that linger. No matter how good the editor, one person cannot find every mistake in an 80,000 to 100,000 word manuscript. TPF: Cynthia, thanks for stopping by #ThePhilFactor and thank you for helping us indie authors publish better books. In addition to editing, Cynthia offers book reviews as well. She has a partner, Cassie, who assists with reviews and is an admin on her Facebook page. Her website is a great source of book reviews from indie authors of all genres. Her Facebook is a great follow because she post links to free e-book downloads almost every day. As always, if you enjoy what you read here at #ThePhilFactor, please share on Facebook, Twitter Twitter, and anywhere else you can!